Click in the diagram below to find out more. The first symptoms of Duchenne may be hard for your doctor to recognize. Find out how you can help your doctor identify any problems as quickly as possible. 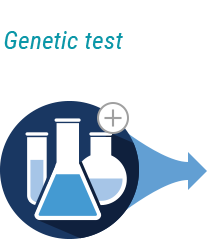 There is no cure for Duchenne, but scientific studies have shown that starting treatment strategies as soon as possible may help delay or slow disease progression and improve quality of life. Learn why genetics plays an important role in Duchenne. Click in the list below to find out more. Learn how a genetic counselor can help your family. Find out how a genetic counselor can help support you and your family. Ask your doctor for a referral or more information. If Duchenne is suspected, the first thing your family doctor will do is perform a physical exam to check for muscle weakness. They will also ask about delays in early developmental milestones, such as sitting, walking and standing up from the floor. High CK levels in the blood do not automatically mean that your child or loved one has Duchenne. 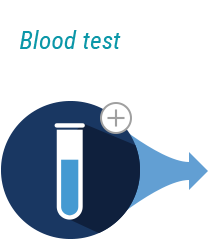 Genetic testing is the only way to confirm a Duchenne diagnosis. If your child or loved one shows signs and symptoms of Duchenne, your doctor will usually recommend a special blood test called a CK test. This involves taking a small sample of blood which will be sent to a lab for analysis. What is a CK test? A CK test checks for an enzyme called creatine kinase, or CK. When muscle fibers are damaged, CK leaks out into the bloodstream. The muscle damage caused by Duchenne means that the level of CK in the blood will often be higher than normal. If your doctor becomes concerned that your child or loved one needs further testing, they will usually refer them to a specialised center or neuromuscular specialist. Specialists will then work through a careful diagnostic process to identify the cause of the symptoms and may recommend a variety of tests. Resources and therapies are available to help manage symptoms and possibly slow down the progression of the condition. Your doctor will do more investigations into what else could be causing symptoms. 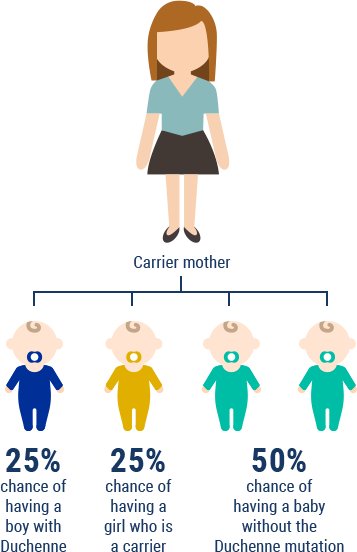 Different genetic tests can also tell your doctor about the type of mutation your child or loved one has. This is important because different mutations may be treated with different types of medication. Duchenne is a genetic disorder, which means that it is caused by changes (mutations) in a certain gene. Genes are made up of DNA, a code that tells the cells in our body how to make proteins. Proteins are the building blocks of our bodies, and they are needed to make and replace cell. 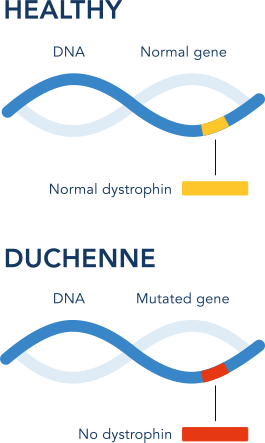 In Duchenne, there is a mutation in the gene that codes for dystrophin – an important protein that helps to keep muscles working properly. As a result, the body cannot make dystrophin. Without dystrophin, muscle cells are easily damaged. Most cases of Duchenne are caused when large pieces of the dystrophin gene are lost or deleted (’deletions’). Less often, large pieces of the dystrophin gene are copied or duplicated (‘duplications’). Duchenne can also be caused by smaller changes in the DNA code. Caused by a new genetic change – this is called a ‘spontaneous mutation’. 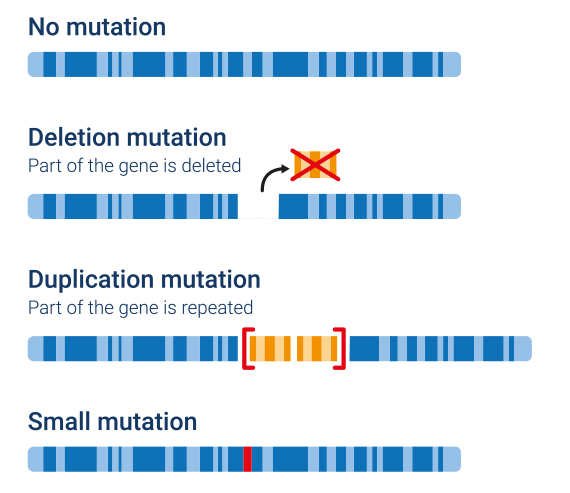 Spontaneous mutations mean that sometimes Duchenne can occur without any family history of the disease. These new mutations can also be passed onto the next generation. Every boy inherits one of his mother’s X chromosomes and his father’s Y chromosome. If a boy’s X chromosome contains a faulty dystrophin gene, he will have Duchenne. The dystrophin gene is the largest known human gene, and it is at risk of spontaneous mutations. If this particular egg cell is fertilized, the baby will carry a faulty dystrophin gene. In this case, the baby will carry a faulty dystrophin gene. When the baby grows up, he or she can pass the faulty dystrophin gene onto the next generation. This is because an affected father only passes a Y chromosome to his sons (the Duchenne-causing gene is located on the X chromosome). However, he will pass the Duchenne-causing gene onto his daughters, because each daughter inherits her father’s only X chromosome. These daughters will be carriers.  People have no choice in the genetic conditions that are passed on in a family. Nobody did anything wrong to cause Duchenne so there is no reason to blame yourself or others. Normally, a female carrier does not show symptoms of Duchenne. This is because her healthy dystrophin gene will usually be able to produce enough of the dystrophin protein. However, sometimes a carrier is unable to produce enough dystrophin. This means that she will experience some signs and symptoms, which can be treated in the same way as boys with Duchenne. In all carriers, regular strength checkups and close heart monitoring are important to make sure that any symptoms that may arise are properly treated. This is why it is so important for female relatives of a boy with Duchenne to get tested to find out whether or not they are carriers. If a woman is a Duchenne carrier, she may have another baby with Duchenne. The chances of a carrier having a child with Duchenne are 1 in 4 (or 25%). This means that for every baby she has, there is a 1 in 4 chance that the child will have Duchenne. If you have a child or relative with Duchenne, it is possible to offer prenatal diagnoses in future pregnancies through genetic testing. Other women in the family can also find out if they are carriers of the condition. This will help them work out their chances of having a baby with Duchenne. Once you have the results, you can talk about what they mean for your family with a genetic counselor. Genetic counselors are professionals who can help guide you through genetic tests and explain how the results might affect you or your family. They also provide you with emotional support and the resources to help you cope long-term. Unsure about how to find one? Ask your doctor for a referral. Deciding whether to talk to your family members about a genetic diagnosis is a very personal decision. The first physical symptoms of Duchenne may be hard to recognize, so it can be difficult to diagnose. 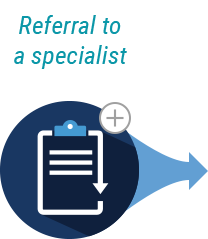 If you think your child or loved one might have Duchenne, take these 3 steps to help your doctor determine whether it is Duchenne or another medical condition. Understanding your family's history of muscle disease and other conditions can help your doctor reach a diagnosis. Write down any symptoms you have noticed. Not sure what signs to look for? 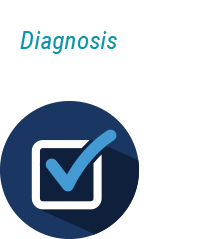 Download the developmental milestone checklist here. 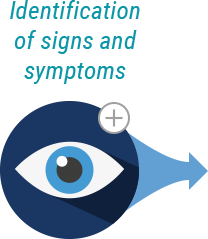 Bring photos or videos to help your doctor gain a better understanding of the signs and symptoms you have observed. Better Health. Genes and genetics. Available at: https://www.betterhealth.vic.gov.au/health/conditionsandtreatments/genes-and-genetics?viewAsPdf=true [Accessed August 13 2018]. Muscular Dystrophy Association. Duchenne Muscular Dystrophy (DMD). Available at: https://www.mda.org/disease/duchenne-muscular-dystrophy/causes-inheritance [Accessed August 13 2018]. National Task Force for Early Identification of Childhood Neuromuscular Disorders. Guide for primary care providers. Available at: http://www.childmuscleweakness.org/files/PrimaryCareProviderPacket.pdf [Accessed August 13 2018].